One of my favorite restaurants in Philly is Garces Trading Company. Not only is it a restaurant, but it also houses a small mini market with meats, cheeses, pastries, and some of chef Garces’s olive oil and spreads. The best part of Garces Trading is the wine shop connected to the restaurant. It’s everything you need in one spot! On my way home I stopped in Garces with my friend Danielle from That Might Come in Handy. I picked up a bottle of Vina los Valles Rioja made with organic grapes and a jar of roasted garlic ducle de leche. 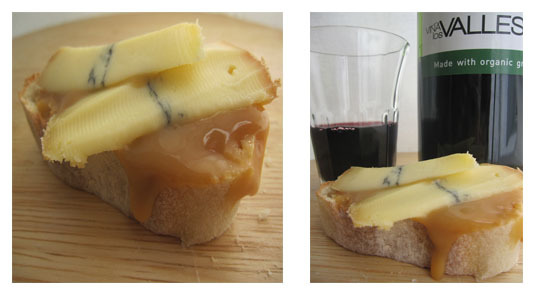 I toasted a slice of baguette and topped it with the roasted garlic dulce de leche and a few slices of morbier perrin raw milk cheese. Soooo good! 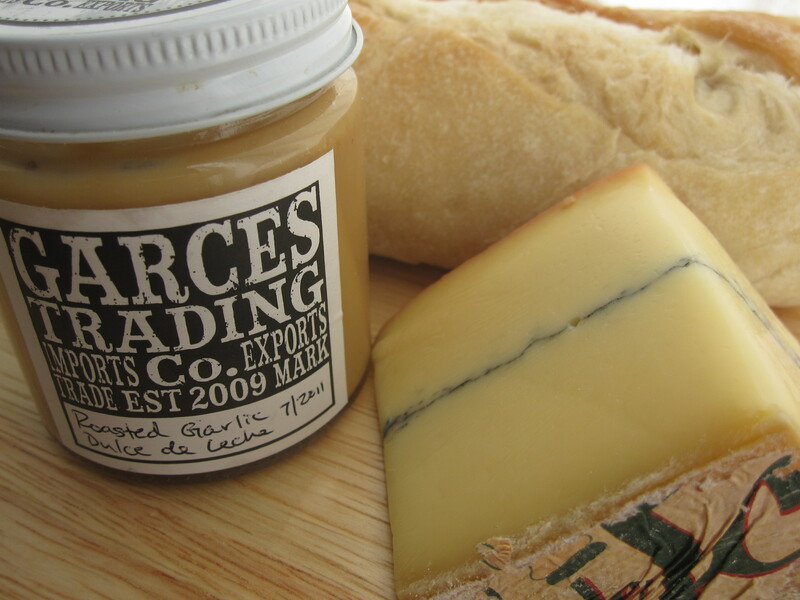 The roasted garlic dulce de leche is $8 for a jar. Not bad, but I definitely am going to try to make this myself so look forward to an upcoming post for that! Looks great – but I’ve never been a fan of Morbier – hate the ash. Yummy! You should try other kinds of cheese! I was thinking Brie would be nice too!